These were the words of an energetic, free-spirited Jurgen Klopp in an interview with The Guardian the week leading up to the historic 2013 UEFA Champions League Final. Not since 1997 had Borussia Dortmund reached such immortal heights, when Ottmar Hitfeld’s side bested a Juventus team filled with talents the likes of Zinedine Zidane, Didier Deschamps, Christian Vieri, and Alessandro del Piero. The all-German affair between Dortmund and Bundesliga champions Bayern Munich ended in a 2-1 defeat of Klopp and co., beginning yet another era of the Bavarian titans’ tyrannical rule. Fast forward to today, and the footballing landscape has some intriguing differences. Dortmund are currently atop the German top flight, soaring five points ahead of Bayern Munich. Klopp is managing abroad, and the trophy considered by all to be the pinnacle of club football has lately become the personal property of Spain’s elite. Yet this season, for clubs such as Manchester City, Paris Saint-Germain, and Klopp’s Liverpool, that trophy is well within reach, but standing in Liverpool’s way is the club that Klopp has managed against more than any other; the one he lost to in that ill-fated final in 2013. Both Liverpool and Bayern Munich are deep in the hunt for their respective league titles this season. 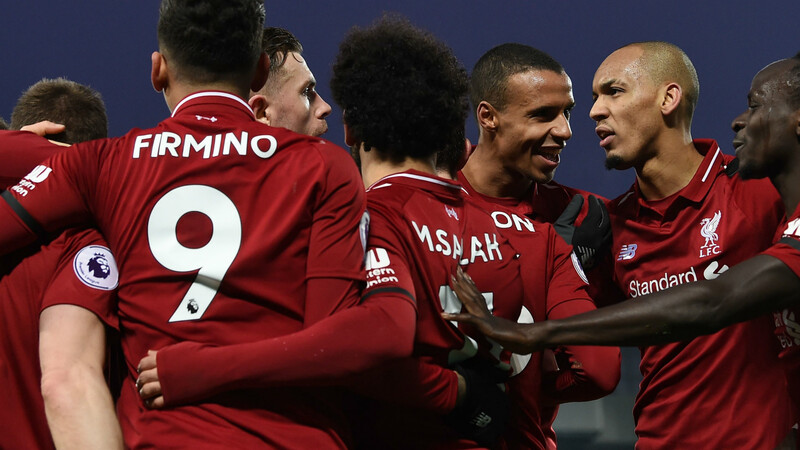 With a three-point lead at the top of the Premier League table, Liverpool have the opportunity to win the English first division for the first time since the 1989/90 season. In the Champions League, the Reds competed in a group C considered by some to be a “group of death”, containing PSG, Napoli, and Red Star Belgrade. A win against Napoli on the last match-day of the group stage was required for Liverpool to claim 2nd in the group and advance to the round of 16. In defence, the Reds are dealing with a number of fitness and availability concerns for the upcoming matches. Joe Gomez, who was fantastic in the first half of the season, will be out after having surgery on his leg. His backup, Dejan Lovren, is struggling to recover from a hamstring injury. Trent Alexander-Arnold is still nursing an injured knee. Virgil van Dijk, who led the team in both clearances (29) and blocked shots (4) in the group stage, is suspended for the first leg. Of those players, only Alexander-Arnold is expected to be healthy come the first leg; Lovren returning is a faint possibility. Liverpool lost all three of their group stage away matches, and with the second leg being played amongst the intimidating atmosphere of Allianz Arena, a positive result at Anfield will be crucial. Fortunately, Liverpool could find the key to beating Bayern through their lethal wingers Mohamed Salah and Sadio Mané. The Egyptian talisman scored the match-winner against Napoli, and his fellow African teammate has found the back of the net in each of his last four matches. Bayern’s defence hasn’t been the sturdy wall relied upon in past years, and Liverpool could run riot if they are able to create space behind the back line for the pacey forwards to exploit. If both teams’ attacking units shift the matchup into a shootout, it could potentially come down to either the keepers or the midfield. Both have a quality shot-stopper between the posts; Bayern with the veteran Manuel Neuer, and Liverpool with the Brazilian star Alisson. Both clubs have also seen new midfield signings begin to show marks of their true potential as of late, with Naby Keïta, Fabinho, and Leon Goretzka all taking major steps forward in their development over the last month or so. After the 2018 Champions League Final- a second cruel title loss for Klopp against a goliath of the game in Real Madrid- the German manager, in all his positivity-laden charisma, stated “in life you always have to accept that we do that, and we will carry on.” When the well-respected foes of Liverpool and Bayern Munich meet in the round of 16, the fearless, lens-wearing leader will be determined to change his history.